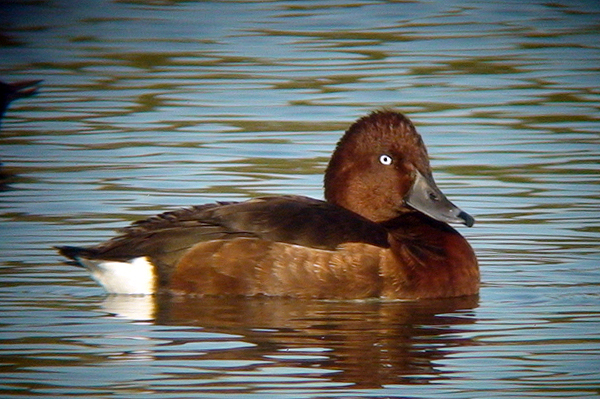 With a full moon and rising Pochard numbers it still came as a surprise to find this fine drake Ferruginous Duck on the UV pools at weston sewage works. 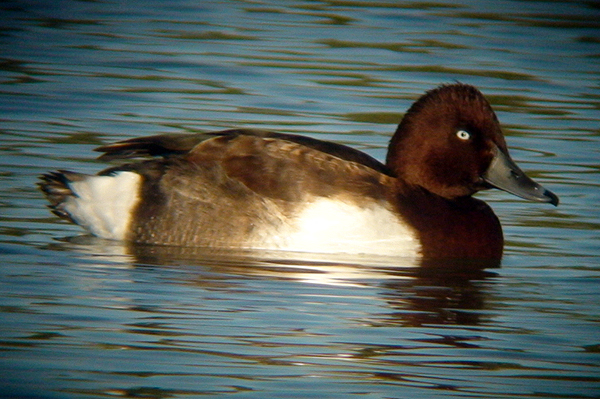 I was counting the Pochard when it slowly dawned on me in the dim light that this was no female Tufted Duck. 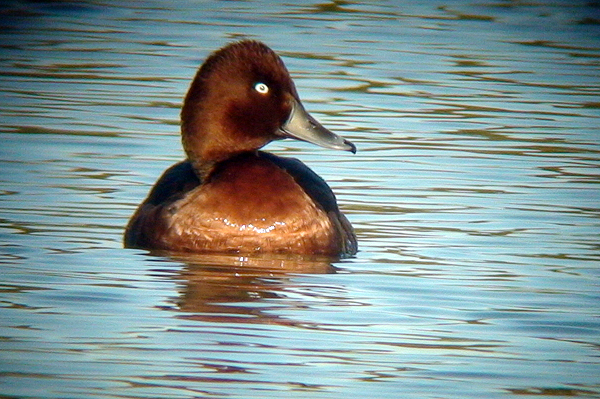 In bright sunlight the following day the splendid chestnut plumage stood out and there was no mistaking this scarce migrant. 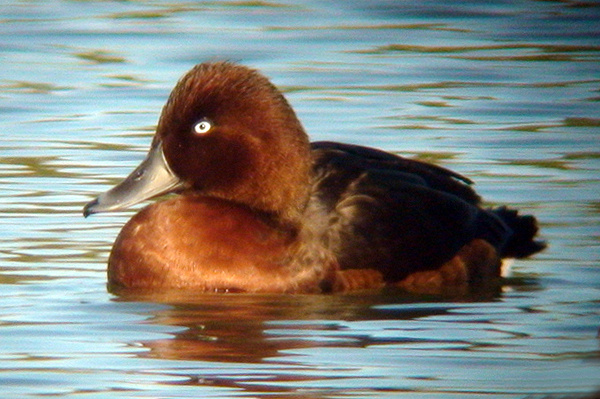 Ferruginous duck breeds in southern and eastern europe into asia wintering in africa. 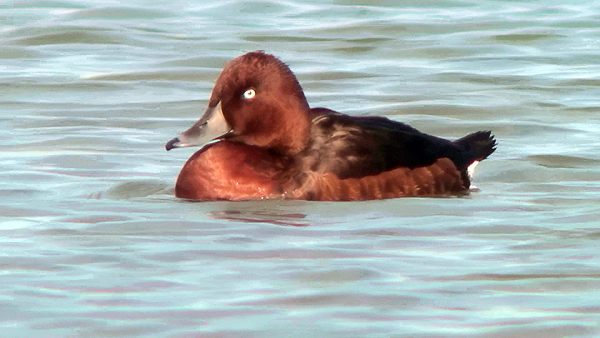 Recently taken off the BBRC rarity list this species is now considered an annual visitor in small numbers.